I received a cordial greeting from the National Association of Biology Teachers in my inbox yesterday. 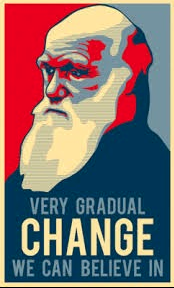 Happy Darwin Day they announced. I was so touched I started listing all of the things we have to thank Darwin, or rather his disciples, for: vestigial organs, missing links, transition fossils, junk DNA, the power of time over statistical improbability, punctuated equilibrium, the endosymbiont hypothesis, university biology departments now called Department of Evolution and Ecology, the American Humanist Association, and all other kinds of Douglas Adams brainstorms left on the publishing house floor. To top it off, the NABT’s February issue of the American Biology Teacher is absolutely free to everyone! Lots of good stuff here including the “model” on page 18. 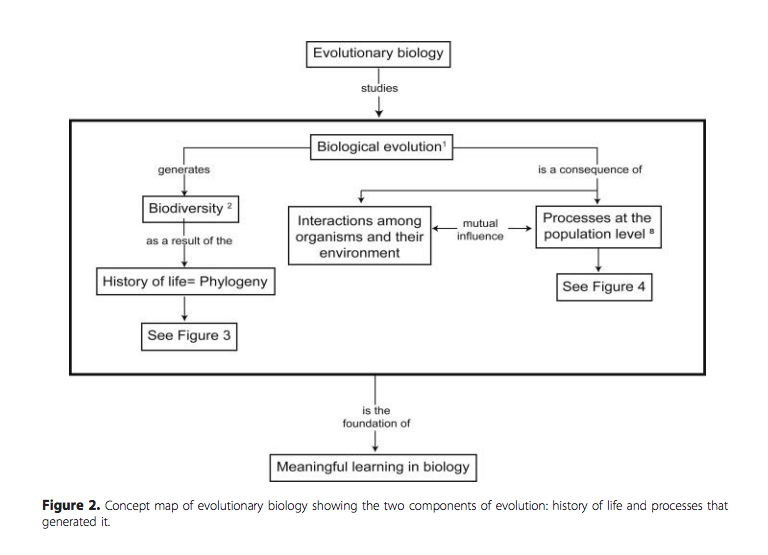 This “concept map” (NOTE: no compass rose or cardinal directions can be found anywhere on this map) clearly shows that any meaningful understanding of biology must be founded upon the hinge of history, that is, the advent of evolutionary biology. And so, why not Newton Day, Faraday ( hehe, couldn’t resist), Einstein Day (he does have an element named for him at least). Alliteration, I am sure of it.